Can I still choose a new career – at 30? I have been driving a truck for 3 years, but really dislike my job. There are a lot of high school students meandering their way into college without any sort of direction. I have been an electro-mechanical technician for the last 30 years but now at my age, I am getting to where I can’t do the things I used to. I would try sales, but I don’t know how to show transferrable skills on my resume and show past employment that doesn’t look like a technician resume. HELP! 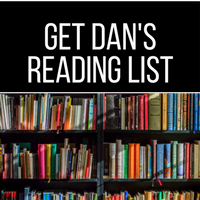 In this episode, Dan shares some insights regarding how to choose a new career. Often times, people get stuck in a job or with a certain degree and believe there is no other options beyond what they’ve already done. 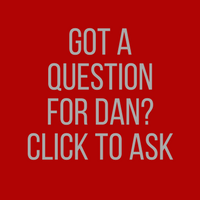 Dan invites listeners to think of education and our existing/past work experiences as part of an ongoing journey to discovering the work that we love. 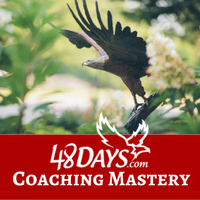 Tune-in to learn what it takes to make a change in career, the value of having clear goals for the future, and why you should never feel that sense of being “stuck”. I have been driving truck for 3 years, but really dislike my job. I see a lot of high school students meandering their way into college without any sort of direction. I have been an electro-mechanical technician for the last 30 years but now at my age, I am getting to where I can’t do the things I used to. I would try sales but I don’t know how to show transferable skills on my resume and show past employment that doesn’t look like a technician resume. HELP! 15:52 – Message from Abraham, I have been driving truck for 3 years, but really dislike my job. [spp-timestamp time=”27:48″] – The 48 Days Eagles site – Check out the inside of the 48 Days Eagles Community! 31:04 – Steve says, I have been an electro-mechanical technician for the last 30 years but now at my age, I am getting to where I can’t do the things I used to. I would try sales but I don’t know how to show transferable skills on my resume and show past employment that doesn’t look like a technician resume. HELP! 33:30 – Chris says, I see a lot of high school students meandering their way into college without any sort of direction. 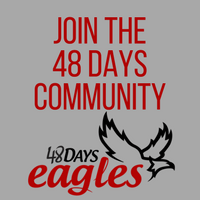 [spp-timestamp time=”44:25″] – The 48 Days Eagles site – Check out the inside of the 48 Days Eagles Community! Be a giver – if you’re in a position with the capacity to share, share what you can. Stop thinking about “either-or” solutions; try to create “and” solutions. Don’t allow your resume to be a chronological description of what you’ve done. Use it as a brochure for your gifts, talents, and the experience you already have.